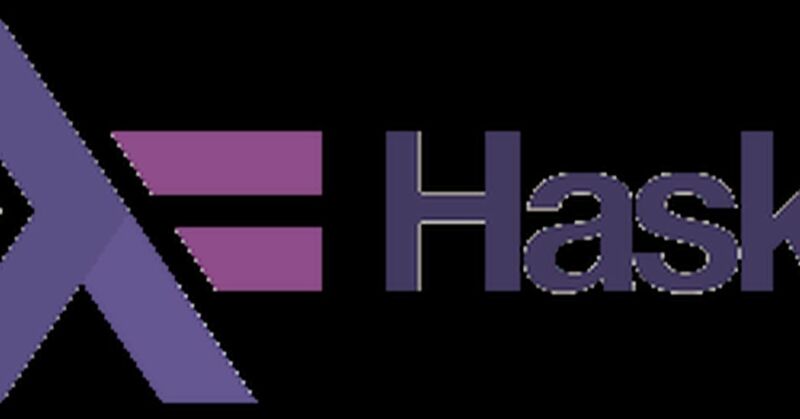 Haskell is an advanced, purely-functional programming language. It is a combination of static and strong typing, declarative style, user-friendly syntax, wide collection of real-world libraries, top-notch tooling, and great educational and support resources which make it a great choice for creating robust, high-performance applications with quick time-to-market. It is a Functional Programming Language that has been specially designed to handle symbolic computation and list processing applications. It is a language with non-strict semantics and strong static typing.Non-strict semantics means the input arguments are not evaluated unless the arguments passed into the function are used to evaluate what is in the body of the function. Programming languages have rules to assign properties called a type to the components of the language: variables, functions, expressions, and modules. A type is a general description of possible values the variable, function, expression, or module can store. Haskell is statically typed. When you compile your program, the compiler knows which piece of code is a number, string and so on. That means that a lot of possible errors are caught at compile time. Haskell uses a very good type system that has type inference. That means that you don't have to explicitly label every piece of code with a type because the type system can intelligently figure out a lot about it. The expressive type system and high level of abstraction commonly used in Haskell code mean that it permits a very high level of code reuse.Patterns are abstracted into reusable components and then high-level interfaces to complex patterns are built into libraries.Reducing code duplication means developers can focus on building systems and designing algorithms rather than debugging the same code and patterns over and over again. The main Haskell compiler, GHC has an LLVM and a native code backend and it can generate code. With straightforward optimizations, Haskell code can run with code fairly close to C code. The IO manager and runtime can handle thousands of threads easily, and the pure functional nature makes it easy to parallelize your algorithms with incredible ease. Haskell can be made very high-performance and parallel with minimal code changes. Purity, lazy evaluation, and the level of abstraction that Haskell provides makes testing incredibly easy. State of the art testing libraries such as QuickCheck and SmallCheck are often pioneered in Haskell, and later ported to languages such as Scala and Python. it has a fairly good database of packages, called Hackage. Hackage has about 9000 packages.Haskell have a learning curve, but it's a learning curve that teaches valuable skills to practitioners. The hardest things in learning Haskell come from practices and requirements such as pure functions, separation of pure code, and high levels of abstraction, all of which are useful for a high-quality codebase.